Upholstery cleaning has always been deemed a challenge among most of us. In general, we think of it as a time-consuming and labor-intensive activity. It also needs you to be familiar with the overall process if you do not want to mess up your expensive furniture or carpet. While these claims hold certain truth, regular cleaning remains essential to extend the life of your upholstery. In the long run, this will save you money since you won’t replace it again and again for the coming years. It is also practical to clean it rather than to replace it with a whole new set-up. Fortunately, upholstery cleaning has become much easier for the past years due to the increasing number of handy and user-friendly cleaners available in the market. With that, here are our picks for the best upholstery cleaners. Rug Doctor Deep Carpet Cleaner is an easy top pick of this list when it comes to performance and functionality. It is a professional-grade cleaner that extracts dirt and removes stains on upholstery/carpet while being portable at the same time. You will see instant results the moment your device skims and moves around the surface of your carpet. Its key scrub-feature Dual Cross Action Brushes – equipped with multiple rows of oscillating and rotating bristles – allows you to hit every fiber of your carpet/upholstery from various angles. This feature provides deep cleaning that most products do not offer. It would offer freshness and smoothness that you usually get from professional upholstery cleaners. The tank capacity of this device is 1.0 gallon. The overall attachment also comprises several upholstery tools to clean different surface texture and material, including chairs, cushions, mattresses, rugs, and sofas. Right after use, you will immediately see what you are paying for in this product. As its name suggests, Shark Rocket Corded Ultra-Light Hand Vacuum is a portable and lightweight device that weighs less than four pounds. 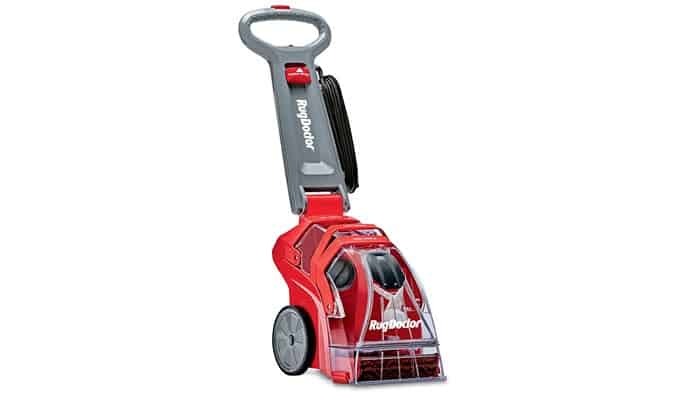 One of its strong qualities is its powerful cleaning motor despite it being a light handheld cleaner. 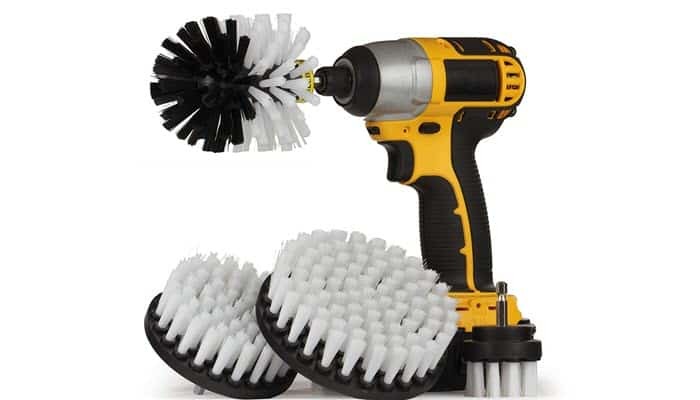 Its TruePet Motorized Brush puts the power of a regular full-sized upright cleaner in a handy tool. This also improves the overall suction ability of the device. Though small, it enables you to extract minute debris, dust, stick-to-all pet hair, and even mounting allergens in your upholstery. Its 15-foot long power cord (HV292) gives you the freedom to move around and reach every corner of your room. Recharging is also never a problem since you can easily plug your device all the time. Lastly, its dust cup is easy to clean and empty. And it doesn’t need additional filter bags that needs replacement over and over again. Its attachments are also easy to manage and change which makes the cleaning process much easier. 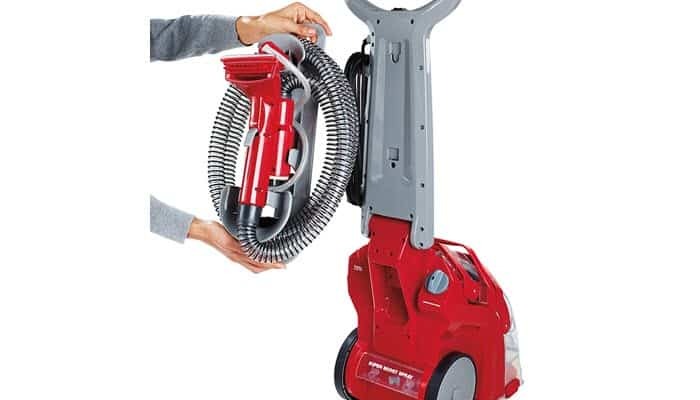 Another great product that needs consideration is this BISSELL lite vacuum model. Pet hair is misery when it comes to upholstery cleaning. Even among vacuum cleaners, not all are capable of extracting pet hair effectively. If this is your problem, worry no more. 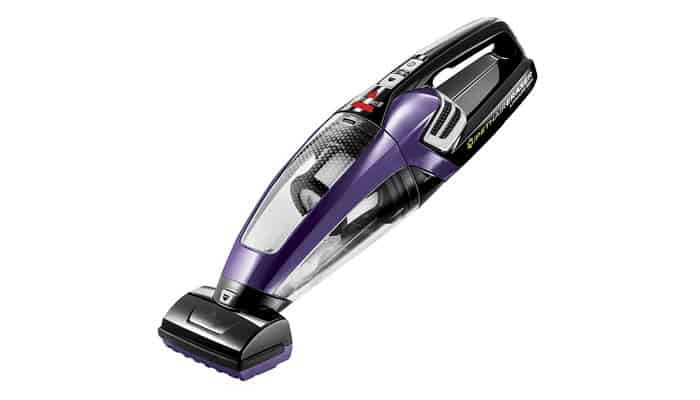 BISSELL Pet Hair Eraser Lithium Ion Hand Vacuum offers an easy solution. This device is specifically made to address the removal of pet hair various surfaces and degree of accumulation. Its attachment is even comprised of specialized pet tools which include crevice tool, motorized brush tool, and upholstery tool. Each one facilitates the easy removal of your pet’s mess, including hair, stray pieces of litters, and even the dirt that they gathered from the backyard. Although its dirt cup capacity is not that big (0.7 liters), its large and easy-to-empty bin helps in efficiently eliminating vacuumed dirt. Its 14V lithium-ion battery allows you to use the device for a couple of minutes while unplugged. 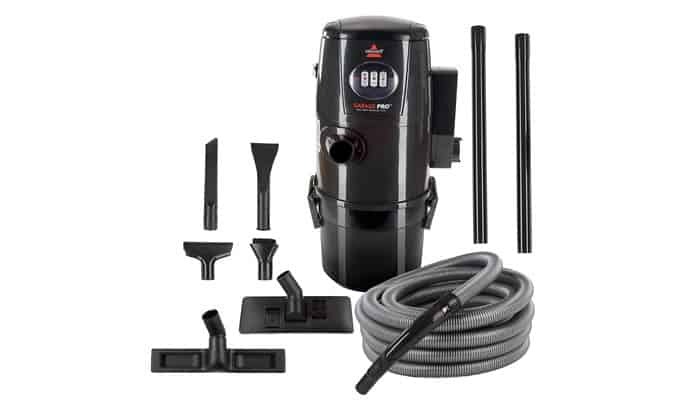 While not as handy compared to its handheld counterpart, BISSELL Garage Pro Wall-Mounted Wet/Dry Car Vacuum packs more power when it comes to deep cleaning of the house and car upholstery and carpet. The model’s wet/dry vacuum feature allows you to suction both wet and dry messes in different fabric surface. It has seven multi-functional attachments (and an accessory bag) to clean different angles and parts of your car, house, and work station, to name a few. Another key feature is its convertibility from vacuum to blower which helps you clean and dry your upholstery at once. It has a four gallon semi-translucent (to easily track the accumulated volume of suctioned dirt) tank which is much larger than most portable products. Part of its overall design is its wall mount kit where you need to steadily attach the device on a corner (occupies 27×15 of wall space). In this case, you do not need to drag the vacuum everywhere you clean. But to accommodate freedom of movement, it offers long hose where you can fit all of its attachments. In case you are tight in budget, you can always opt to buy the cheaper, but still reliable and cost-efficient, Automotive Soft White Drill Brush. You can use it to manually power scrub and deep clean your upholstery. Its five-inch flat round brush easily covers large surface areas, boosting your optimal cleaning speed. For tight spaces, its two-inch flat diameter allows you to navigate between hard-to-reach areas of the house or car. What’s good about this device is that it can also be used to clean other parts of the house like tiles, woodworks, porcelain tubs, and etcetera. Its multi-functionality will really give you your money’s worth. 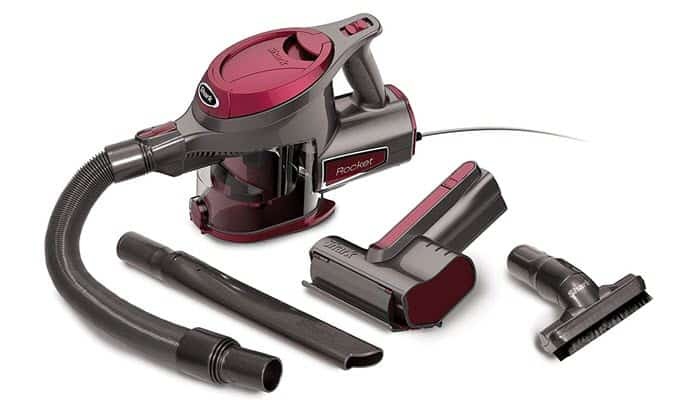 When it comes to vacuum cleaners, the first thing that you need to consider is its suction power. An expensive product equipped with fancy attachments means less if you still won’t be able to remove seated dirt. What do you need? While some of us prefer a portable and handy cleaner that fits our “on-the-move”, others are into much bulkier and powerful tools. Do you intend to use the tool for maintenance cleaning or deep cleaning? Will it be used in your house carpet or in your woodwork shed? These things matter. While some cleaners have deep cleaning potential, lack of attachments may still limit their versatility. This is an important consideration when choosing a product. Based on our experience, Rug Doctor Deep Carpet Cleaner is the best upholstery cleaner in the market today. It has the combination of versatility, functionality, and power that makes for a well-rounded cleaner. Its deep cleaning feature, combined with its portability, makes it a must buy.